Our clients want lawyers who are experienced in efficiently solving real-world problems – and who carry every client’s interests far ahead of their own. When a client has a tough or painful issue, I use everything in my power to save them – to protect them. Cary Gray brings an extraordinary level of experience as a seasoned problem-solver to all of his roles. As a lawyer, he takes a unique, holistic approach and brings an unwavering devotion to his clients’ goals. Whether he is handling the sensitive dynamics of fiduciary litigation involving a family-owned or closely held business, or quarterbacking a corruption probe involving a client’s operations in places as far flung as Germany, Singapore or China, the client’s objectives always come first. Cary’s navigation of complex commercial litigation has helped entrepreneurs, successful companies and their executives in real estate, manufacturing, franchising, hospitality, healthcare, transportation, banking and construction, among other industries. Cary serves as the Independent Executor for two large estates, reflecting the degree of confidence and trust his clients have in him, and at the same time requiring him to understand the dynamics of businesses and their operations in ways that few lawyers do. As managing partner of Gray Reed for more than 10 years, Cary’s partners have also recognized the unique set of skills he brings to the table. Cary concentrates on growing a modern and democratic partnership – one that puts the clients before anything else. He describes the Gray Reed values as those of “an old-time law firm,” focusing on the smartest kind of productivity – the kind that promotes their clients’ interests. He is also intensely dedicated to developing and retaining the firm’s top talent, and to attracting other lawyers with complementary strengths and values to help serve the firm’s growing client base. Cary has also had a one-of-a-kind experience serving as a Regent and chairing the Nominating, Governance and Regent Leadership Committee of the Baylor University Board of Regents. 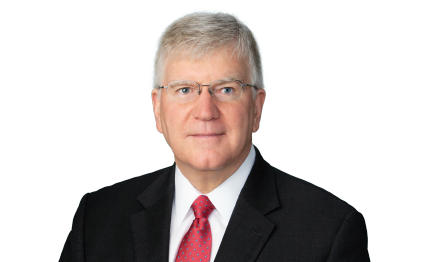 He has developed a deep understanding of the fiduciary obligations that directors have to organizations of any kind, as well as the balance between transparency of operations and confidentiality, enabling Cary to serve as an extraordinary resource on governance issues to public, private and non-profit boards. Obtained a significant judgment on behalf of Jani-King International, Inc. in a breach of contract and fraud suit against its Singapore master franchisee. Won a jury verdict in a breach of contract and promissory estoppel case, including actual and exemplary damages, then successfully collected the judgment in favor of the Firm's client, against Energy Service Co., Inc. ("ENSCO"). ENSCO had not provided promised stock options to purchase 50,000 shares of its stock offered to one of its officers as part of an employment agreement. The appellate decision affirming the award can be found at 1992 WL 149813. Won a binding arbitration award for a company that operated as a licensee of a delicatessen operation after the licensor sought to have the contract terminated on a variety of grounds. The award upheld the contract, including the client's right to the exclusive use of the trademarks and trade dress, and the right to sub-license the use of the company's intellectual property. Won a jury verdict and successfully upheld the judgment on appeal in a contract and fraud case by a California citizen against a dual citizen of France and Texas. The Defendant had refused to pay the client's fees for service as an expert witness in a case pending in Michigan. The Defendant removed the case to federal court under the alienage provision of diversity jurisdiction. After the trial resulted in an award of the entire amount sought on behalf of the Firm's client, plus attorneys' fees and an order that certain Texas property be turned over in satisfaction of the award, the Defendant appealed on the grounds that there was no subject matter jurisdiction and because his domicile was in France, rather than the United States. The appeal resulted in a further hearing at the trial court on jurisdiction, also resulting favorably to the client. The opinion of the Fifth Circuit Court of Appeals is reported at 85 F. 3d 244. Successfully defended Six Flags Theme Parks in a $2 million breach of contract suit filed by a former concessionaire at the Six Flags Astroworld and Splashtown theme parks in Houston, and obtained an award of the balance due on the concessionaire's contract with Six Flags. Won a state court jury verdict in favor of Aero Services International, a nationwide aircraft service organization, in its defense of a $3 million DTPA claim involving the maintenance and operation of two Saberliner corporate jets. The owner of the jets had claimed Aero Services was negligent in researching the operation history of the aircraft, one of which had crashed during an attempted landing in South America, demated and shipped back to the U.S. The FAA had issued a new airworthiness certificate after the plane was reassembled and repaired by another company. The owner of the aircraft, a charter operator, alleged the loss of charter revenue because of in-flight failures, and also that the owner had incurred excessive maintenance costs. In addition to successfully defending the DTPA claims, the jury awarded the Firm's client payment, in full, of the outstanding invoices for the repair work. Represented plaintiffs or defendants in several libel/slander/defamation suits including: the successful prosecution of a libel claim against a Laredo, Texas television station arising from a series of investigative reports about the termination of the Laredo J.C. basketball program; the prosecution of claims for a savings and loan institution against a local newspaper over an article and headlines falsely alleging involvement in the use of the institution for money laundering; and the successful defense of libel and copyright infringement claims against a major trade journal by a competing trade publication. Won a state court jury verdict and take-nothing judgment in favor of an electrical contractor owned by a multi-national, publicly traded (NYSE) company in a lawsuit filed by a former employee alleging racial discrimination was a factor in the company's decision to discharge the employee. The successful representation of several ophthalmologists in their termination of contracts with a large physician practice management company ("PPM") specializing in ophthalmology practices. In one case, after a two-week hearing, a panel of arbitrators ruled the contract between the parties should be terminated because of multiple breaches of the agreement by the PPM, and that the PPM should pay a large damage award, including attorneys' fees to the physician, setting a precedent facilitating other physicians to terminate as well. Successfully defended four separate multi-million dollar negligence, fraud, breach of fiduciary duty and mismanagement suits by the FDIC or the RTC against former directors/officers of failed lending institutions. One of the suits was the subject of a Forbes Magazine article about RTC litigation against former directors of financial institutions. Each case resulted in the dismissal of all claims against the Firm's clients. Defense of federal court claims by the FDIC against the former owners of two Houston radio stations that the proceeds of their $30 million sale to Clear Channel Communications was subject to execution by the FDIC, as successor to a failed financial institution, on the grounds that the proceeds resulted from an allegedly fraudulent transfer. After the case went to trial, it was settled on confidential terms. Recovered a settlement for a publicly traded (AMEX) company in a lawsuit against an insurance agent and broker for fraud and negligence in failing to procure liability insurance coverage required under the company's line of credit. At the time of the litigation, the client was the largest operator of nightclubs in the U.S. Representation of a judgment creditor in successfully asserting in federal district court, and at the Fifth Circuit Court of Appeals, that a default judgment obtained for the Firm's client was non-dischargeable in a Chapter 7 bankruptcy proceeding because the debtor had committed fraud on the client. The Fifth Circuit decision is reported at 56 F. 3d 677. Lead counsel in the successful prosecution of a suit to compel payment on a letter of credit issued by the Bank of China to secure a $1.2 million cargo shipped to a Chinese trading company. An interlocutory appeal of the District Court's decision on the Bank's claim of immunity under the Foreign Sovereign Immunities Act was taken to the Fifth Circuit Court of Appeals, and affirmed after oral argument. Following the initial appeal, the case was tried and the Bank again appealed to the Fifth Circuit, where the award was affirmed after oral argument. The District Court's opinion is published at 167 F. Supp. 2d 940. The initial Fifth Circuit decision on the Foreign Sovereign Immunities Act claim is published at 142 F. 3d 887. The Fifth Circuit decision upholding the District Court's award of damages in the full amount of the letter of credit, plus all attorneys' fees incurred by the client, is published at 288 F. 3d 262. The full amount of the judgment was ultimately satisfied by the Bank of China. Successfully recovered payment for a Houston Ford Truck dealer on the $6.5 million sale of equipment to the Chinese government-owned construction company, SIETCO, for use in the construction of a dam project at the headwaters of the Nile River in Uganda. After delivery of the equipment, the purchaser alleged the specifications for the equipment were not met, and successfully convinced the issuer of the letter of credit posted by the purchaser to refuse payment. The lawsuit included the construction company, as well as the issuer of the letter of credit as defendants. The case settled for the full amount of money due from the purchaser after film of the equipment being used at the construction site in Uganda and otherwise refuting the purchaser's claims was obtained by the Firm for its client. Representation of a 37.5 percent ownership interest held by the Firm's client in a partnership dispute involving the fabled Big Sky Movie Ranch in Simi Valley, CA. Ownership in the ranch, a 12,000 acre tract that was once the weekend retreat of J. Paul Getty, was acquired by the partnership in 1981. In the mid-1990's, the managing partner lost its interest thru a foreclosure, and caused the partnership to default on obligations to a local developer. After resolving the litigation and the resulting partnership disputes, the partnership was restructured, and the Firm's client was represented by Cary Gray and other attorneys in the firm in successfully securing entitlements for a residential development of a 1,000 acre tract from the property, the sale of that tract to a major Southern California home builder for a $42 million gain, and the reinvestment of the proceeds thru a tax-free 1031 exchange in eight Walgreen Co. stores, an Albertson's supermarket and a Winn Dixie supermarket. Representing the bankruptcy trustee of a developer, won a jury verdict and assisted in the successful appeal of a suit between a contractor, a bank and the developer over a shopping center construction project. The bank had withdrawn financing for the project because construction had been started before the loan closing. The contractor had incurred more than $1 million in costs, and alleged that both the developer and the bank had approved commencement of construction. When the financing was withdrawn, the contractor sued. In addition to successfully defending the contractor's claims against the developer's bankruptcy estate, the jury verdict included an award to the developer for damages. The case is reported at 865 S.W. 2d 68. Won a two week bench trial and judgment removing clouds on title to a tract of real estate, awarding attorneys' fees and the total amount of damages sought, and holding that the Firm's client had title to the property notwithstanding claims that she had executed a document indicating that a one-half interest in the property was being held in trust for the Defendant/Counterclaimant. The appeal of the judgment in favor of the client was subsequently dismissed. A report on the issues in the case and the opinion of the appellate court on the remaining issues can be read at 2003 WL 22810440. Won jury verdict, judgment and subsequent appeal against the officers of Antone's Import Company, a well-known Houston restaurant chain, in a shareholders' derivative action for the heirs of the founder of the company. The officers of the company had assumed control from the widow of the founder, and were found liable for self-dealing transactions, and breaches of fiduciary duties owed to the company. Bringing a shareholder derivative and shareholder oppression action that ultimately forced the seven-figure purchase of the minority shareholders' stock in a prominent software development company on grounds including misuse of corporate assets, usurpation of corporate opportunities for the personal benefit of the majority shareholder, and mismanagement of the company. Successfully defended a multi-national corporation in a wrongful death and survival action brought in Texas state district court by the heirs of a woman who died at a vacation home operated in St. Maarten, Netherlands Antilles. The claimants had sought over $30 million in actual damages, plus exemplary damages. Represented multiple U.S. based clients in a wide range of international arbitration and assisted with court proceedings involving property, the recovery of losses from fraud and other employee misconduct and breaches of contract in foreign countries including Brazil, the Hong Kong SAR of the People’s Republic of China, Mexico, Singapore and Turkey. Handled litigation and business disputes for several well known entertainers in management and contract disputes including the mishandling of assets, improper charges, and the avoidance and enforcement of contracts and agreements relating to their performances, endorsements and merchandise sales. While attending law school, Cary was a member of Baylor Law School's Regional Champion and National Quarterfinalist team in the 1983 Mock Trial Competition.